“My strongest memories of the development of Diablo are how the whole team at Blizzard North and those of us down in Irvine felt like we were all waging a war against the expected and accepted,” Bill Roper tells us, when we ask him about the time he spent working on the now legendary game. Read more: introducing SpatialOS and the future of multiplayer. Roper is in the third decade of a career that has seen Blizzard invent genres, the MMO find a mainstream audience, and Disney go to Infinity. Now, as chief creative officer at Improbable, he is introducing the game industry to SpatialOS, challenging the expected and accepted once again. SpatialOS is a technology that combines servers in the cloud to allow multiplayer developers unprecedented scope and computational power. It is Roper’s job to work out how best to use it – thinking around the well-established design philosophy that says multiplayer games must be split into shards, regularly reset, or stripped of the physics systems that bring their single-player counterparts to life. During his time at Blizzard, Roper played a part in shaping multiplayer as we know it. While competitors were building entire companies around the idea of charging subscriptions for online games, Blizzard were launching Battle.net, a service that allowed anyone who owned Diablo to connect for free. Later, Roper had a front row seat for the development of World of Warcraft, a long and sometimes painful process that began with a photorealistic MMO set in a new universe. 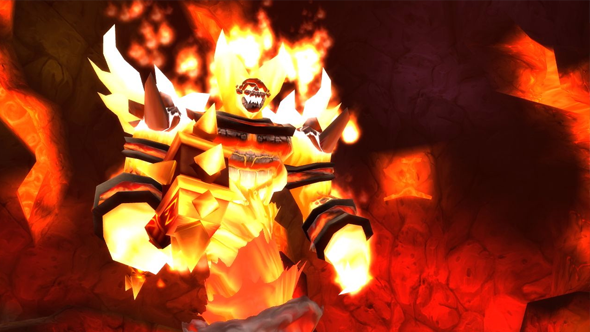 Even once WoW had its trademark look and familiar world, it felt like an extraordinary risk. 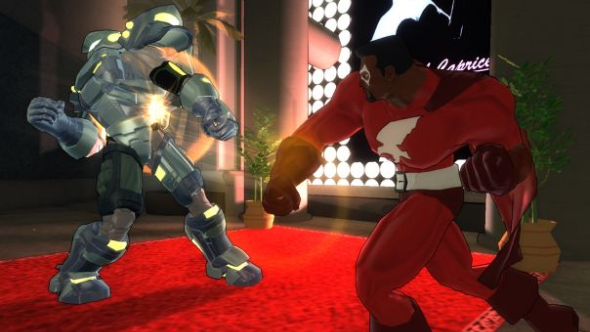 “I remember sitting in an executive meeting, looking at how much we’d spent on the game, and calculating how many subscribers we’d need in the first year to just break even on development costs,” Roper says. “It was more players than any western MMORPG had ever seen, and we sat there half-jokingly wondering how many of us were going to get fired. 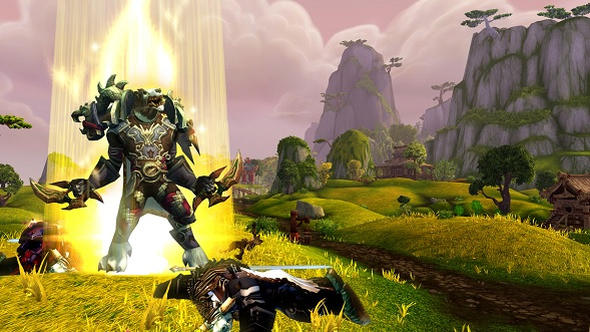 Watching WoW happen changed Roper’s view of what multiplayer and persistent worlds could be. It proved there was a shared desire to inhabit worlds that promised adventure, new relationships, and the ability to become someone else. But, over time, it also showed that those worlds were limited by the underlying structure of their technology. Roper went on to work on other MMOs like Hellgate: London and Champions Online. With a few exceptions, he argues, developers have been building more of the same thing ever since. Roper tends to speak in questions a lot when talking about SpatialOS. It is the mark of a man concerned with possibilities, not just solutions, which is unusual in an industry where developers have become accustomed to making sacrifices to get their ideas working and playable. 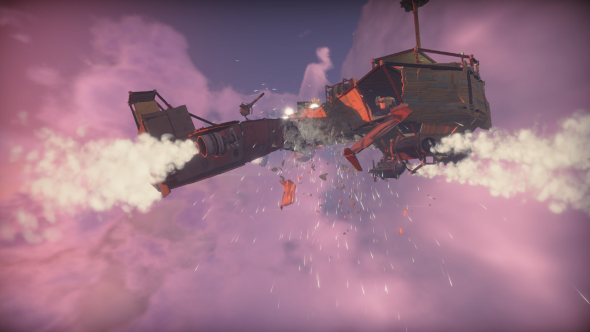 It might sound Lennon-esque, this vision of the future MMO, but look at Worlds Adrift. Look at Seed. There are already strange and bold ideas coming out of SpatialOS as the technology makes WoW-scale games possible for small independent teams. It is these games, Roper suggests, that will bring new change to multiplayer which no-one sees coming. This article is part of a series of features sponsored by Improbable. Visit their site for more on games using SpatialOS.